Sometime ago, on 13th of April 1895 to be exact, Lily, a tiny English lady (from Irish decent) arrived at Bologna Centrale, the central railway station of Bologna in the north of Italy. She travelled by boat from London over the Channel to Flushing in the Netherlands to begin a long train journey through Europe. It took her a couple of days but she didn’t mind as she was, in spite of her young age, an experienced traveller of the continent. The reason for her to travel to Italy was love. She had fallen in love with a mysterious man in London. A man who was not who he appeared to be and who was involved with Russian and Polish revolutionary circles, which at the time had found refuge with early socialists in London. That man was Georgy Rosenblum, later known as Sidney Reilly. Spy for the Crown, the Russian Tzar and an absolutely charming man, a womanizer. And Lily, although engaged and living with Wilfrid, a Russion revolutionary, had fallen for Sidney’s charms. In the summer of ’95 she was led by a priest, father Lorenzo whom she met by accident, to the archives of the Bologna University to study the Risorgimento, the Austrian-Italian independence war of some decades earlier. And it was there that she composed the story of The Gadfly, her new and revolutionary novel that would be published in 1897 in New York and later in London, St. Petersburg, China and eventually a few other European countries. It was a summer of an exciting and adulterous love affair as the foundation for one of the most compelling revolutionary novels, a book that has inspired young Russians to this day and has sold over ten millions copies since its first print. Ethel Lilian Boole would become the most successful young adult writer in the first half of the twentieth century and the most unknown successful writer of her time. Even she would not learn until in her last years, decades later, how successful she was in the Soviet Union. Largely unknown and unread in the West but immensely popular in the East.  The Gadfly would become an icon in Sovjet literature. But did she invent the story in het novel, or was it the harrowing story of the priest Alfonso that she retold? Horzel (Eng: Gadfly) is a compelling story of the creation of one of the masterpieces in literature, of a love affair between a young English woman and the most famous spy at the end of the 19th century, of the regrets of an old priest and the dangers of falling for any kind of extremism. Please click on the pictures on the right for more information about the author and her previous work.